The Episcopal Diocese of San Diego was founded in ’73, over 100 years after the first Episcopal service took place in this region. The area that makes up the Diocese of San Diego stretches from Sun City to the Mexican border, from the Pacific Ocean to Yuma, Arizona. Until ’73, this was part of the Episcopal Diocese of Los Angeles. Shipwrecked off the coast of Point Loma, Episcopal Bishop William Ingraham Kip, a patrician New Englander, and his wife were entertained by the Bandini family, whose house still stands in Old Town San Diego. On January 22, 1854, the bishop celebrated his first Eucharist in California at the courthouse in Old Town. As the area developed, Episcopal churches emerged out of new communities until a separate diocese was formed. The Rt. Rev. Robert Wolterstorff was consecrated as the first bishop of the Diocese of San Diego in ’74. The newly formed diocese then had 37 congregations and nearly 20,000 members. The Rt. Rev. Brinkley Morton from Alabama was elected and consecrated second bishop of San Diego in ’82. He focused on developing seven new congregations and he helped expand the services of already existing Episcopal Community Services, which still continues to help people in need today. Since its inception, St. Paul’s Cathedral has been a center of ministry, but it wasn’t until ’85 that it was named our cathedral. 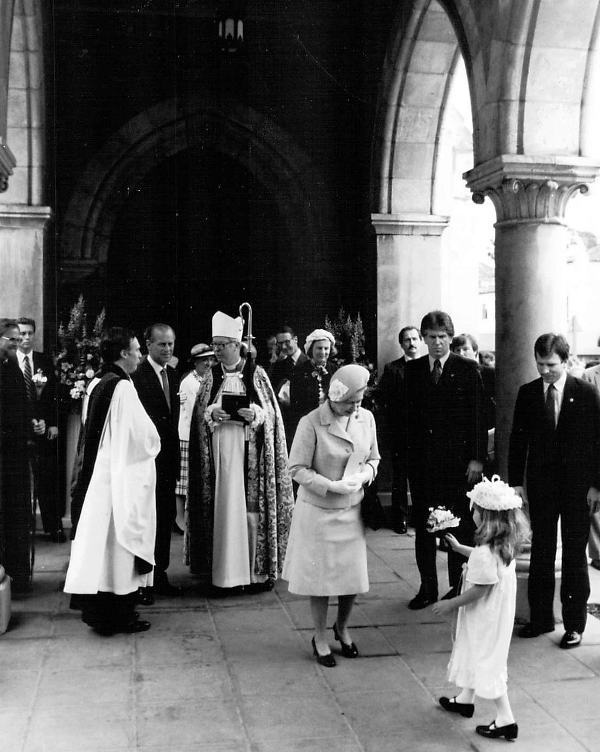 In ’83 Queen Elizabeth II of England and her husband Prince Phillip visited St. Paul’s, marking a high point for our diocese. The Rt. Rev. Gethin Hughes, our third diocesan bishop, was elected and consecrated in ’92. Bishop Hughes spent his episcopate increasing mission and ministry in this region. He also led a fundraising campaign for new church buildings. 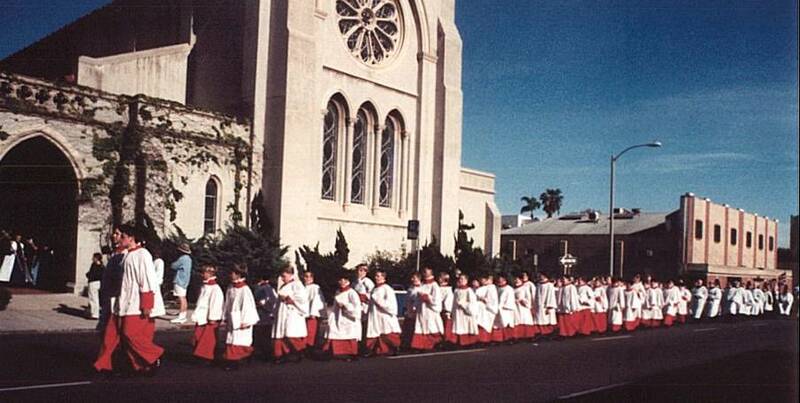 By ’99, the diocese had 52 congregations and 26,000 members. The Rt. Rev. James R. Mathes was ordained and consecrated as the fourth Bishop of San Diego in 2005. His ministry focused on developing vibrant congregations that are missional centers for the wider community, and teaching the faith. He resigned in 2017 to accept a position as the associate dean of students at Virginia Theological Seminary. The Episcopal Diocese of San Diego today consists of 44 churches and over 20,000 members across San Diego County, Imperial County, southern Riverside County and Yuma County, Arizona. This diocese is a part of the greater Episcopal Church which has 110 dioceses in 16 nations and is a member province of the worldwide Anglican Communion.